The services provided by Dragonheart are closely aligned with many other services and organizations in the writing and publishing field. I am often asked to provide references and resources for client and colleagues. A few are listed below. The Colorado Independent Publishers Association (CIPA) provides networking, resources, support, and encouragement to writers and independent publishers, as well as those who serve those professions. CIPA offers monthly meetings and a yearly conference that is packed with so much great help, it is called <?xml:namespace prefix = st1 ns = "urn:schemas-microsoft-com:office:smarttags" />CIPA College. How do I feel about CIPA? They are mentioned in the acknowledgments section of my first book. That is how helpful I have found the organization. I am currently an Associate Member of CIPA. Boulder Media Women is an informal networking group for women writers, editors, graphic designers, screenwriters, videographers, journalists, publishers, and other Colorado women associated with the media. As an editor, writer, author and publisher, this group of colleagues is like an extended family for me. I love these women. We have a listserv and the professional exchange among members is invaluable. There are monthly potlucks, Tuesday schmoozes, and Friday morning coffees, which provide face-to-face interaction for members who can fit one or more into their schedules. Rocky Mountain Fiction Writers is a non-profit organization in Colorado for fiction writers. It offers programs to encourage, inspire, educate, and otherwise support writers of novel length fiction, as well as networking opportunities. NZ Graphics is the design firm of Nick Zelinger. Nick did the interior and cover design for my First Place EVVY Award winning book, Living the Dream—A Guidebook For Job Seekers And Career Explorers. As a professional editor, I have also collaborated with Nick on many books for other authors/publishers. Nick promises that “compelling graphic design can meet your deadline and not blow your budget” and I have found the man true to his word. Nick’s work is wonderful and Nick is wonderful to work with. Does it get any better than that? MacGraphics Services is the design firm of award winning designer and author, Karen Saunders. I have worked with Karen on books, marketing materials, and ads. She helps clients make more money with less effort, thanks to designs that do the selling for them. Karen’s own book, Turn Eye Appeal into Buy Appeal is an invaluable resource for novices doing their own design, as well as professional designers. The U. S. Copyright Office: Register your work to protect your copyright with them. Library of Congress: Cataloging in Publication (CIP) data is issued from them. OLF Technologies has been designing (re-designing, updating) my web sites since . . . well, since I have had web sites. Mike Scholl’s firm also hosts my sites. Mike is not just a guy who started playing around with computers as a kid, before most people even knew what a computer was (well, he is that), he is a bona fide technical expert with great taste and a great sense of what customer service means. 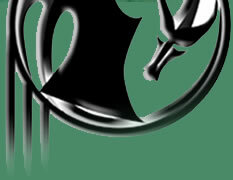 Go to http://www.thedragonheart.com/ to see another example of a web site developed by Mike for me. Dragonheart is the name of the company subsuming Dragonheart Writing and Editing. What else do I do? Go to the Dragonheart site to find out! Consulting, Shamanic work, Psych-K™, Workshops, and my book, Living the Dream—A Guidebook For Job Seekers And Career Explorers . . . it’s all there. The Living the Dream Blog is an interactive blog about living the life of your dreams at the highest level. This blog is meant to be a dialogue, not a monologue, so I encourage you to visit and comment. Facebook . . . of course. Look for Dragonheart Writing and Editing. Yes, she also has a personal page.